Silverstone (National Circuit) is a racing venue in United Kingdom with 31 laptimes.This page represents the 2.6 kilometer (1.6 mile) configuration of this track. 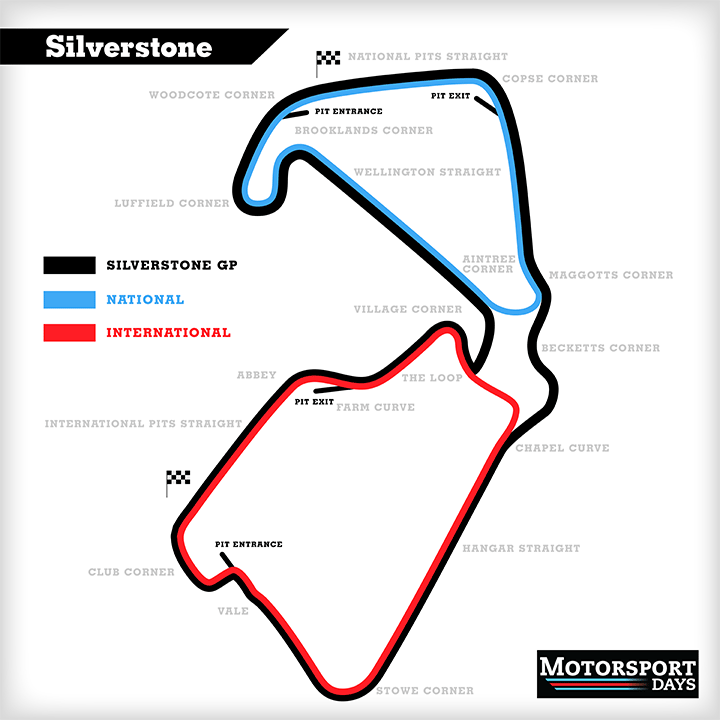 Silverstone (National Circuit) is a moderately fast track, with overall average speed of 135 kph (84 mph). Motorcycle champ did 50.5 in Mercedes W05.